Foreign ministers from the G8 group of nations have condemned in the “strongest possible terms” North Korea’s nuclear weapons and ballistic missile programmes. 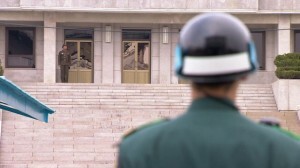 Tensions have risen on the Korean peninsula in recent weeks. The ministers also expressed “deep concerns about the increasing human tragedy of the conflict in Syria”. They also endorsed what they called a historic pledge on preventing sexual violence in conflict. The Group of Eight nations comprises the US, Britain, France, Germany, Italy, Japan, Canada and Russia. Britain currently holds the rotating chairmanship of the G8 and the talks are a prelude to the annual G8 summit later this year in Northern Ireland. Downing Street has released an initial list of invitations to Baroness Thatcher’s funeral next Wednesday. All surviving US presidents and British prime ministers are on the guest list, as well as a representative of the Reagan family. Ronald Reagan’s widow Nancy is understood to be too frail to travel. Former Soviet leader Mikhail Gorbachev will also not be attending owing to health problems, his spokesman has said. The guest list for the event was drawn up by Lady Thatcher’s family with the assistance of the government and the Conservative Party. More than 2,000 invitations will be sent out, with most set to be dispatched on Friday. 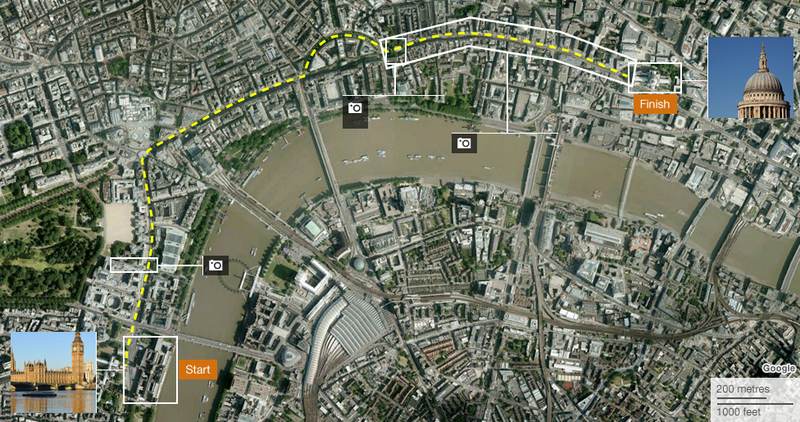 The funeral of Baroness Thatcher, the first female UK prime minister, will be along the same lines as those of Diana, Princess of Wales, and the Queen Mother. She has been awarded a ceremonial funeral with military honours which will take place on Wednesday, 17 April, at St Paul’s Cathedral in London. It will be the first time the Queen has attended the funeral of a British prime minister since that of Sir Winston Churchill in 1965. On the day before the funeral, Baroness Thatcher’s coffin will be moved to the Chapel of St Mary Undercroft in the Palace of Westminster. 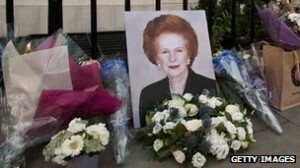 There will be a short service following its arrival and the coffin will stay there overnight. 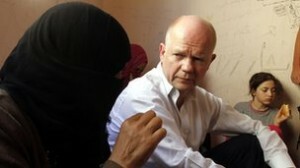 Foreign Secretary William Hague has said the crisis in Syria will be at the “top of the agenda” when G8 foreign ministers meet in London this week. He has warned that the “situation in Syria continues to get worse”. Mr Hague said that top of his “personal agenda” is another initiative, to end a “culture of impunity” over sexual violence and abuse during war. Foreign ministers from the G8 nations are starting two days of talks in London before the G8 summit in June. 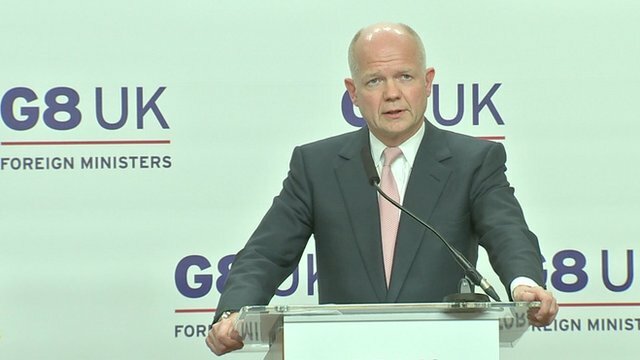 Mr Hague will meet with the foreign ministers of Canada, France, Germany, Italy, Japan, Russia and the United States, on Wednesday and Thursday. South Korea has raised its alert level to “vital threat” amid indications the North is preparing for a missile test. At least one ballistic missile with an estimated 3,000km (2,000-mile) range is fuelled and ready for launch, US and South Korean sources say. Pyongyang has been making bellicose threats against South Korea, Japan and US bases in the region. The threats follow tough new UN sanctions imposed on North Korea last month after its third nuclear test. Separately, an initial investigation by the South into a major cyber attack last month that affected a number of banks and broadcasters has said the North is to blame.